I began my SERVPRO career in 1983. I had a desire to learn the industry while helping people dealing with life’s misfortunes. I worked for another SERVPRO for 4 years before buying my current business in August of 1987. I am originally from Ridgefield, CT but have lived in Danbury, CT over 30 years with my wife Nancy and the newest addition to the family, Roscoe. I have had the pleasure of meeting countless people, from all walks of life, many of whom have needed our services at one time or another. I have always taken great pride in dealing honestly, professionally, and fairly with people, and have passed the same characteristics on to my children, both of which I proudly state work in the business. 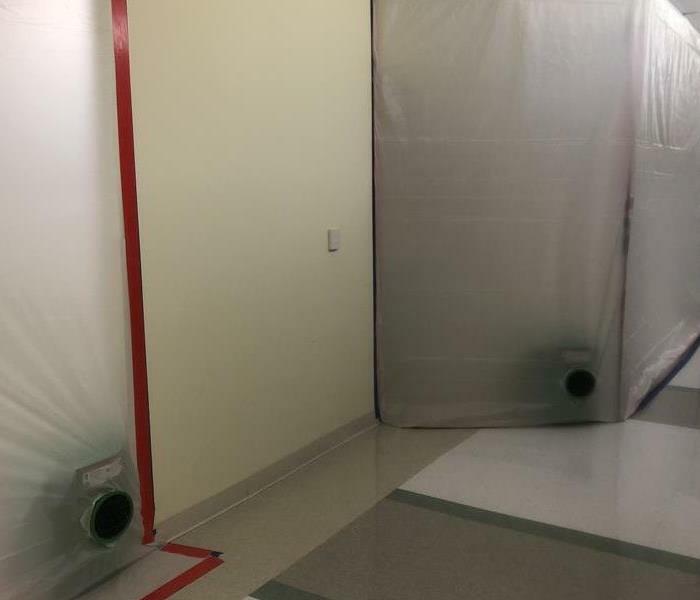 The impact of dealing fairly, honestly, and compassionately with people became evident in April 2007, when our SERVPRO office and warehouse found itself under 4 feet of standing water. Computers ruined, trucks towed away for repair, and equipment destroyed. So many customers reached out, after seeing our disaster in the paper, and offered helping hands. As I look to the future, I see this business continuing to help the community; from sponsoring fire prevention events, making donations by the truckload to needy people near and far, and just helping to clean up our little corner of the world, working to make it “Like it never even happened." 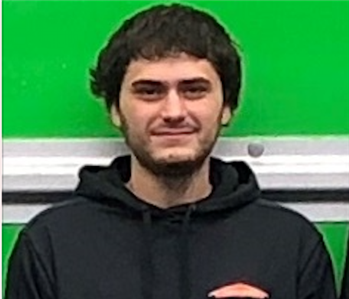 Anthony Cimmino is a crew chief at SERVPRO of Danbury/Ridgefield. 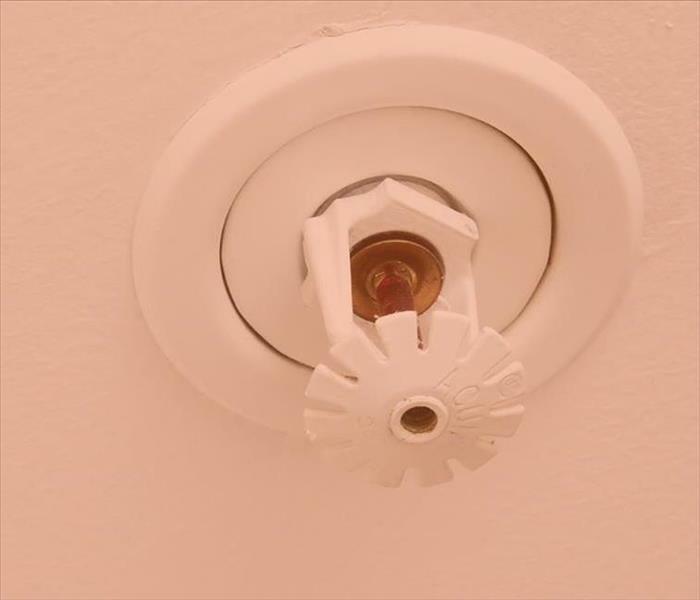 He has over 8 years of experience and has the following certifications from the Institute of Inspection, Cleaning and Restoration Certification (IICRC): Water Damage Restoration, Fire & Smoke Damage Restoration. 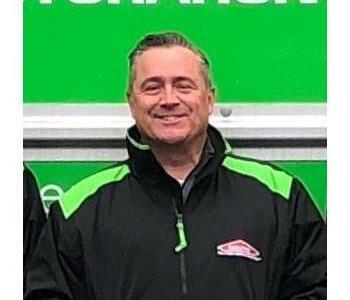 Anthony has worked for several other restoration vendors in the past 10 years and the team at SERVPRO of Danbury/Ridgefield is honored to have him as part of our team. 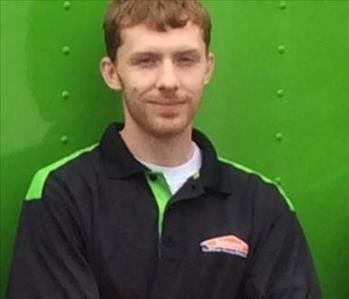 John Falk lives in Torrington, CT and is a Crew Chief at SERVPRO® of Danbury/Ridgefield. 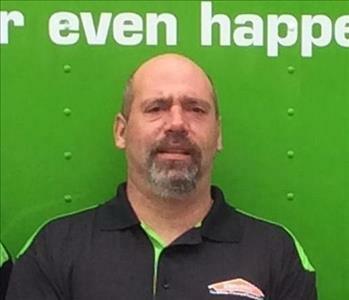 John started with SERVPRO® of Danbury/Ridgefield on 7/13/2015 and has advanced in our company through the years. He provides outstanding customer and production services to our clients in their time of need. John Falk has the following certifications from the Institute of Inspection Cleaning and Restoration Certification (IICRC): Water Restoration Technician (WRT); Applied Structural Drying Technician (ASD). John is always available after-hours he has become a priority responder for SERVPRO® of Danbury/Ridgefield during after-hours emergency responses. John enjoys spending quality time with his 2 children and his girlfriend. Alex Yoran is the youngest son of Scott Yoran. 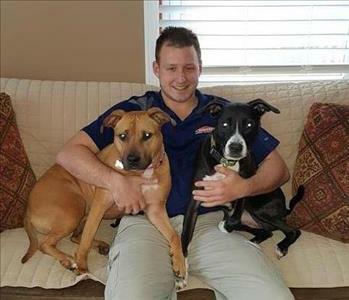 He is a Production Technician at SERVPRO® of Danbury/Ridgefield since December 2011. He was born, raised, and still lives in Danbury, CT. Alex has completed the Institute of Inspection Cleaning and Restoration Certification (IICRC): Water Restoration Technician course to become certified in water damage restoration and is now a certified WRT technician. He provides outstanding customer and production services to our clients in their time of need. Always available after-hours he has become a priority responder for SERVPRO® of Danbury/Ridgefield during after-hours emergency responses. Rob Salmon is the Business Development Manager at SERVPRO of Danbury/Ridgefield. He is responsible for driving the growth of the organization by generating new business opportunities. Rob’s ultimate goal at SERVPRO is in helping clients to make things “Like it never even happened." 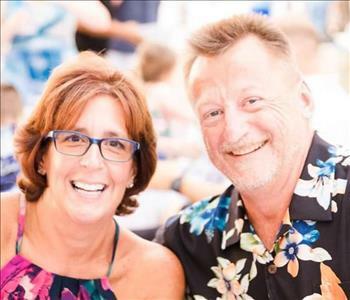 Prior to joining SERVPRO of Danbury/Ridgefield, he worked for Paychex in retirement planning in the Greater New York City Area. He also served as an Area Sales Manager in the auto glass industry. One of Rob’s greatest strengths, is his ability to engage in the community, building meaningful relationships. He welcomes challenges that fall outside of his expertise. Rob’s key strengths include communications, interpersonal skills, organizational planning and problem solving. Rob also coach’s football, wrestling, lacrosse and partners with local charities in the Greater Danbury Area. He resides in Bethel, Connecticut with his wife Lacy and three children, Luke, Everett and Amelia. In his free time, Rob likes to spend time at the family lake house in Upstate New York, fishing and riding ATV’s with his family. 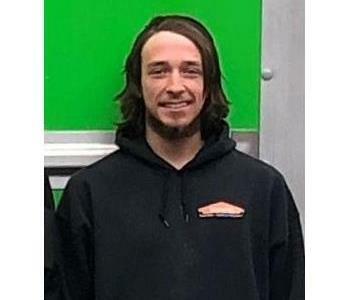 Justin Kotowski lives in Torrington, CT and is a Production Technician at SERVPRO of Danbury/Ridgefield. 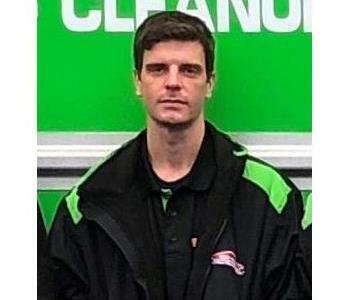 He has been with SERVPRO of Danbury/Ridgefield since 8/22/2018. He has completed the Institute of Inspection Cleaning and Restoration Certification (IICRC): Water Removal Technician course to become certified in water damage restoration and is now a certified WRT technician. He has several years’ experience in the construction industry. In his spare time, he enjoys music, playing the guitar, reading, and hiking. He is also a volunteer at the Sullivan Senior Center in Torrington, CT when time permits. Jose Sousa is a Production Technician at SERVPRO® of Danbury/Ridgefield since December 2012. He resides in Danbury, CT with his family. Jose has completed the Institute of Inspection Cleaning and Restoration Certification (IICRC): Water Removal Technician course to become certified in water damage restoration and is a certified WRT technician. In his spare time, he enjoys, time with family, racing and repairing cars. 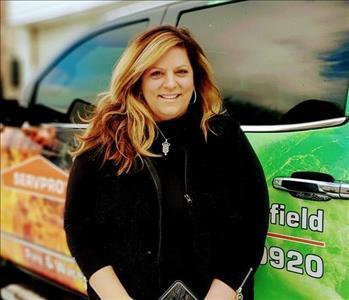 Deborah Cacace is the newest addition to the SERVPRO® of Danbury/Ridgefield family and is our Office Manager. Prior to joining SERVPRO® of Danbury/Ridgefield, Deborah worked in the finance industry for thirteen years, and a restoration Company in the New York City area for three years. Deborah's strengths are accounting and customer service. She enjoys volunteering at sports organizations, and academic events within her community. She resides with her husband and two children in Brookfield, CT. Please help us welcome Deborah to SERVPRO® of Danbury/Ridgefield.